Shoreline Cottages has interviewed a number of these ‘Whitby folk’ to find out why they love the town so much and how they think it’s changed. 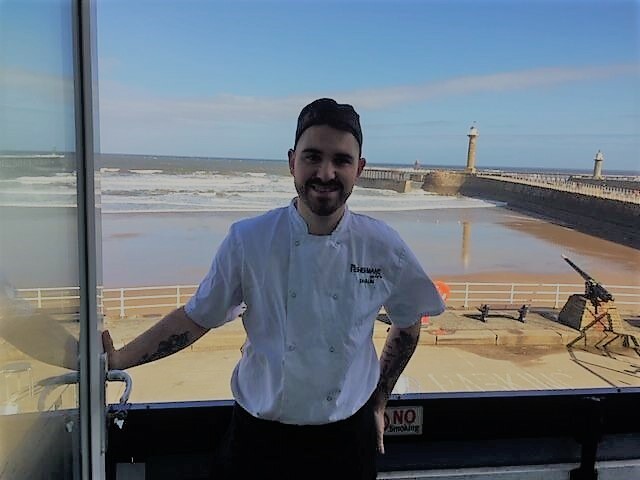 Today we meet Shaun Inglis, the head chef of The Fisherman’s Wife – a seafood restaurant located in central Whitby, serving traditional fish and chips as well as a variety of seafood and non-seafood dishes. 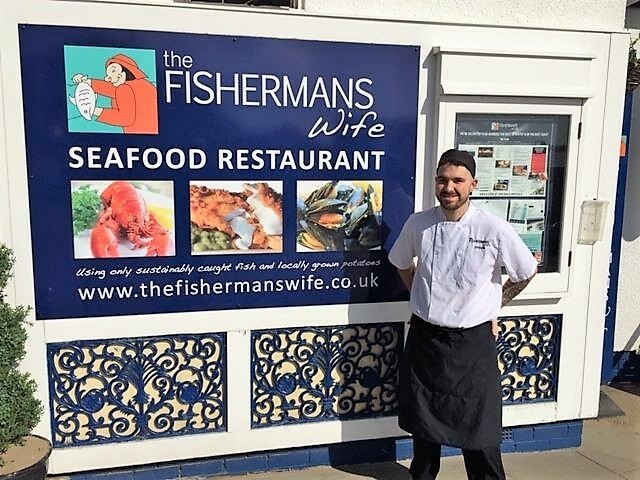 I’m the Head Chef at The Fisherman’s Wife. I’ve worked here for 6 years. The shop was originally called Graveley’s but has been called The Fisherman’s Wife for 8 years. I started off just doing salads but worked my way up. Now I run the kitchen, I do all the ordering and I generally run the business. We have 25 staff and on a busy day there could be up to 18 staff working. Weekends get particularly busy. Our best seller is Fish and Chips but we also sell lobster, crab, prawns, oysters, haddock, cod, lemon sole and plaice. I like the cooking side but it can get quite stressful when it’s busy. We have had a few famous people come in over the years. Yes but I’ve done a bit of travelling too. My family have been here for 3 generations. My Mum and Dad are retired now but my Dad was a stonemason and Mum was a housewife. One of my Grandfather’s was a caretaker at East Whitby School and the other was a Gamekeeper in Mulgrave Woods. It can get too busy in the summer and in the winter it can be too quiet. Business is generally not good in the winter. We need something put in place to help ease conjestion in town. When the swing bridge opens traffic can be really bad – especially in the summer. The town doesn’t know how to cope when it’s so busy! 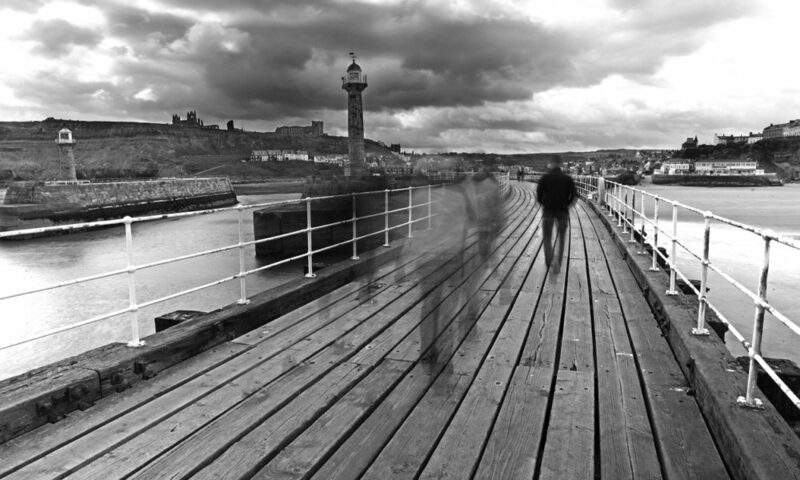 There’s more businesses in Whitby now. There are a lot more tourists – it seems to grow every year. No. I would like them eventually though. I like to spend time with my wife and family. I like to spend time outdoors in the nicer weather. Potentially – my wife is Australian so we could move to Australia one day.